Delicious! Hope you are soon feeling 100% again. Mmh! That makes me hungry - I've had lunch, but no dessert... I'm awed that you managed to take the time to draw them instead of devouring them :)! These look yummy! I hope you get to eat them too! p.s., I hope your shoulder and wrist are all better now! no more chocolate on profiterolles in HK? Oh Yum, delicious in every way!! Hope you are feeling better. The aching doesn't show in the picture. 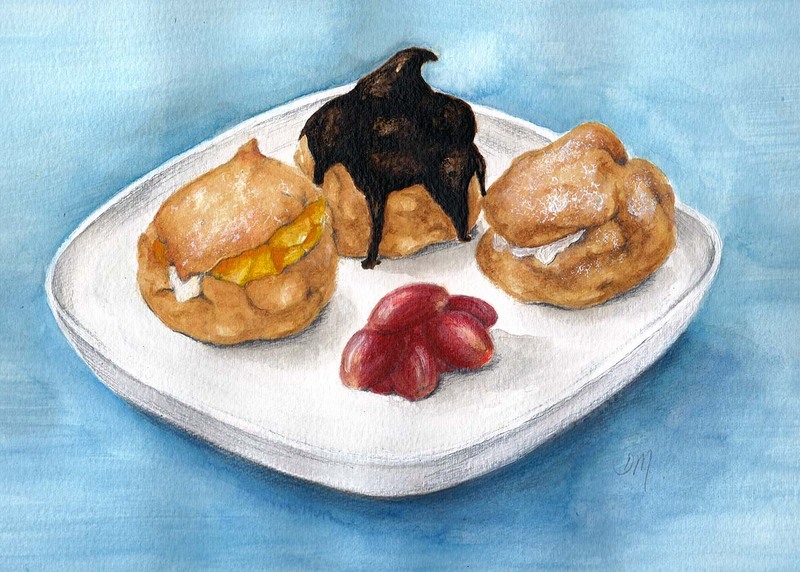 I would call these cream puffs. I didn't know what profiteroles were but had heard the word before. I want the one with cream in it!